Made with our secret blend of Valrhona cocoa and chocolates, our original, signature Classic Cake-Style Brownie is the one you will crave time and again. We use our own secret and special blends of Valrhona's premium cocoa along with butter, sugar, eggs and king arthur flour. 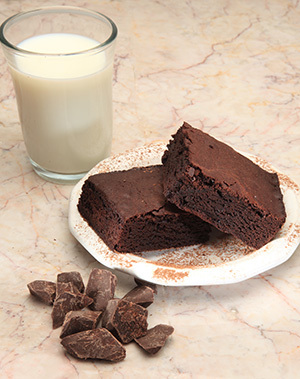 All of our orders for Brownies, Cookies & Biscotti are baked to order and shipped fresh to you within hours of being removed from the oven on the date you select. None of our "Freshly Baked" products are ever frozen or stored. However, we are closed on Sundays and cannot bake and ship on that day.